Every now and again it’s nice to think about whats currently inspiring you as a creative, I guess thats why Pintrest and Tumblr et al are so awesome. So I guess this is what’s making me feel rad at the moment and things to look forward to. I really like listening to Plume Giant. 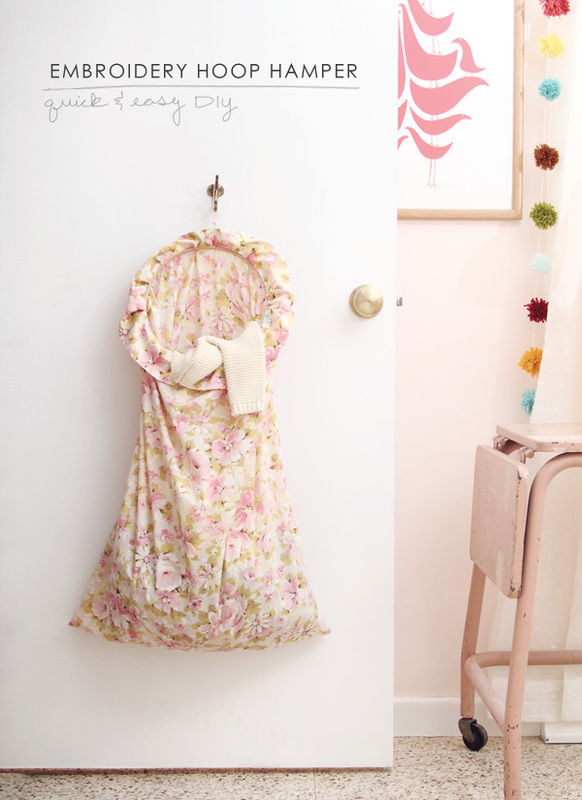 Gentle, whimsical, poetic and perfect for staring out of windows too and cuddling up in a blanket. 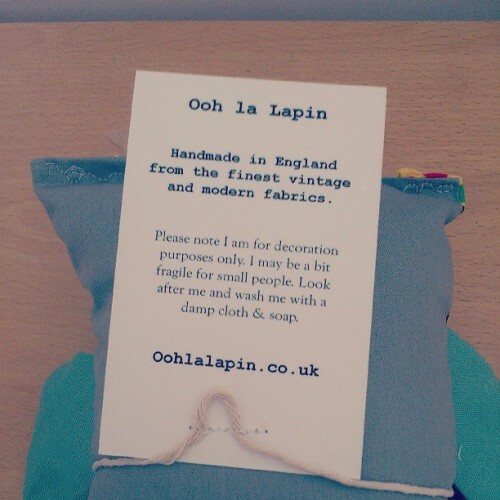 Also great to make stuff to! Another favourite past time when I’m not working, running around after kids/dog or looking after the house is curling up with a good magazine. 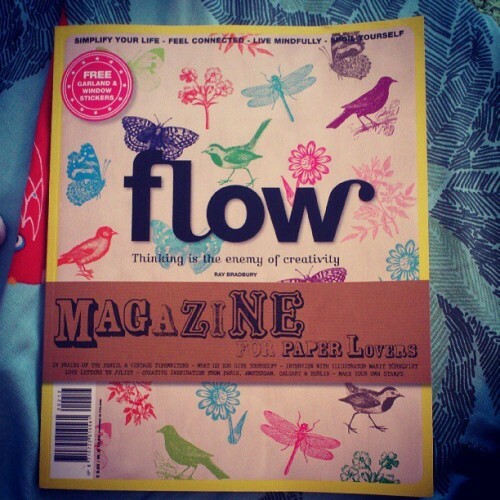 Two magazines I have fallen in love with recently are Flow and Lionheart. Flow hails from the Netherlands (I love it there, so much beauty!) and is filled to the brim with inspiration, imagery, fabulous articles, recipes, creativity and each page makes you smile. The 2nd international edition is available now. 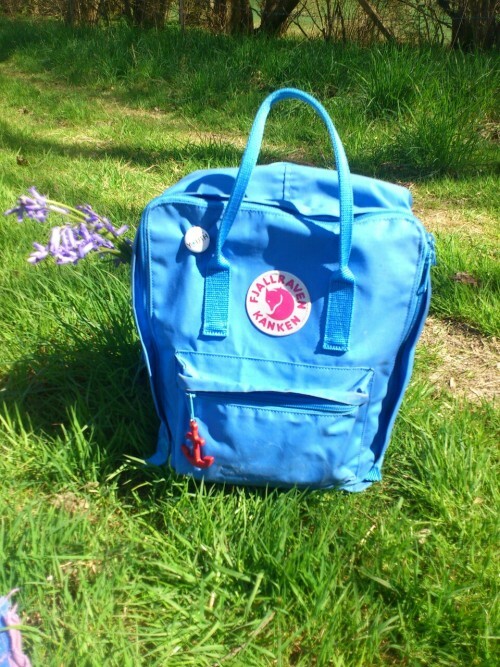 Lionheart magazine is perfectly handbag sized and is produced in the UK. I really enjoy the tone of the publication, its like going for a cuppa with a great friend who recommends ace places to visit and tells you entertaining stories and gives you enviable style advice. It’s well worth £5 as it has a great coffee table feel with its thick paper and wonderful artwork, a real keeper! I want to go and stay at the Flying Pancake B & B in Amsterdam. My partner and I are planning a trip to Amsterdam by train this winter and I think we have found the perfect place to stay and we have searched endlessly for the perfect mix of style, design and location. 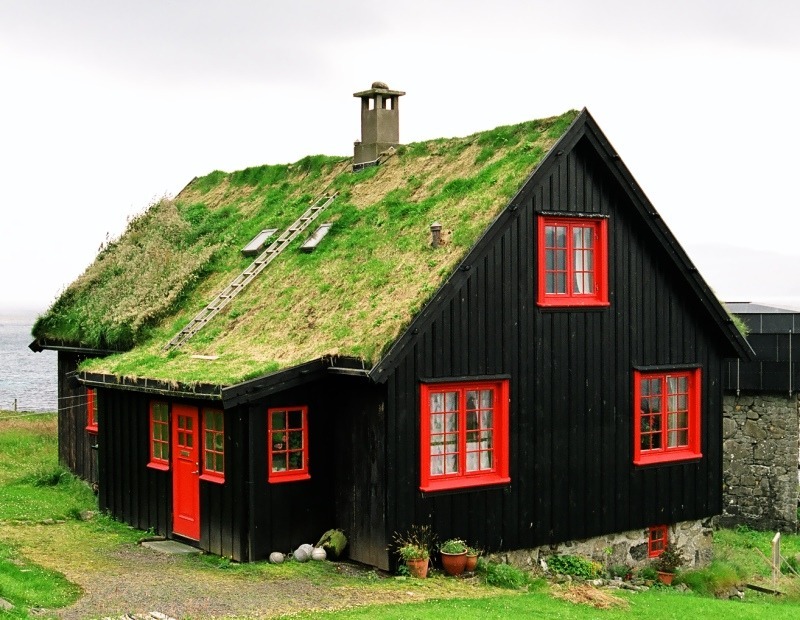 Just outside the hustle and bustle it will be perfect for the much needed getaway with a touch of romance. It will be my first holiday in three years and the first time I have spent more than one night away from my disabled son for a long time. Autumn and winter food and drink!!! 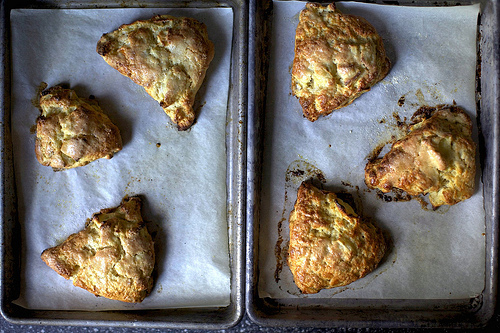 Apple and Cheddar scones from Smitten Kitchen. Creamy Pan Fried Mushrooms and Poached Egg from Island Menu, truly wonderful photography and food! 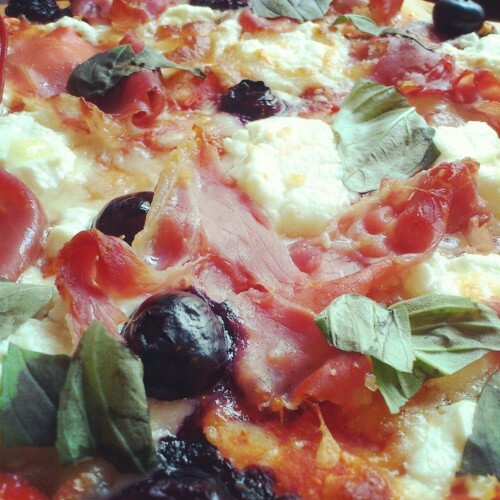 Goats cheese, blueberry and prosciutto pizza. Blueberries on a pizza is so right, they are just like little fragrant tomatoes that make the dough around them go a violent purple. 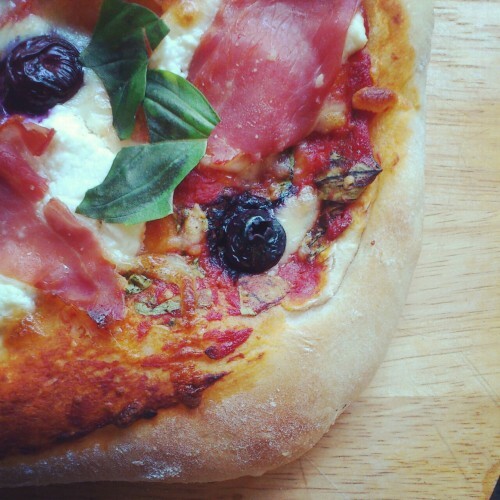 The saltiness of the goats cheese and the crispy ham make this one of the best homemade pizzas I have ever cooked! Whip up some pizza dough, Im lazy and get my bread maker to do it. Knead out and flatten. I mixed some tomato puree, garlic, a little passatta and some torn basil leaves together and spread that on the base. 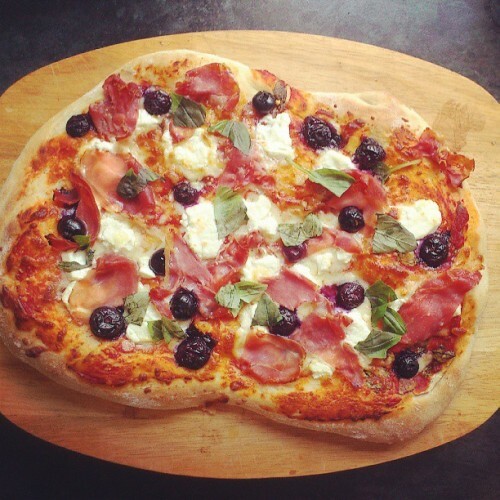 A tiny sprinkling of mozzarella and generous amount of soft goats cheese crumbled over that followed by a handful of blueberries and strips of prosciutto. Bake for 15 mins until golden and the ham is all crispy. 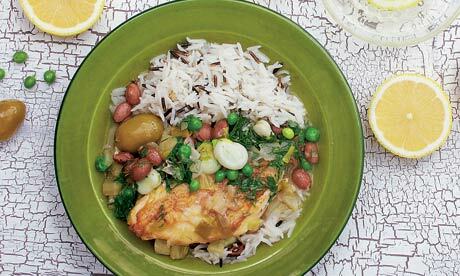 Serve with a simple tomato and caper berry salad or lots of coleslaw. 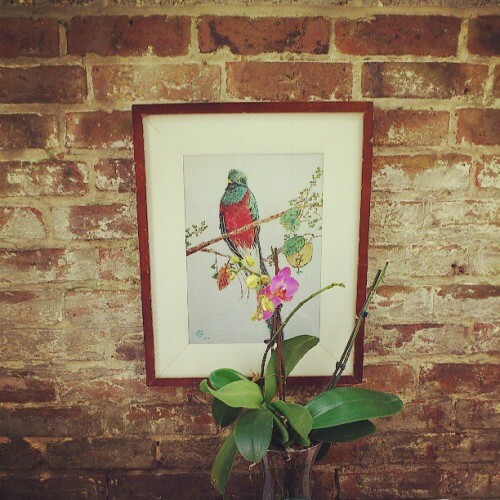 I am so in love with instagram, it really is the best way of keeping a visual diary of all your daily goings on. 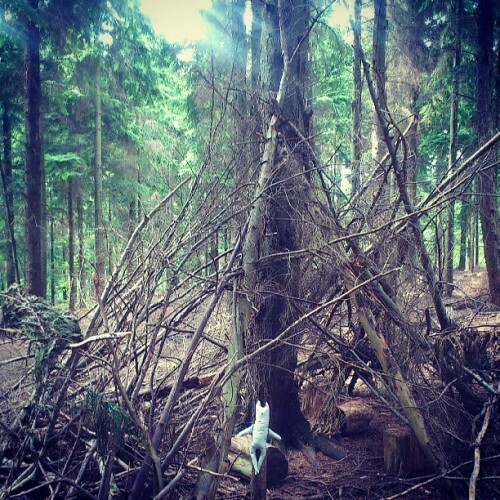 On location doing a toy shoot in the woods. 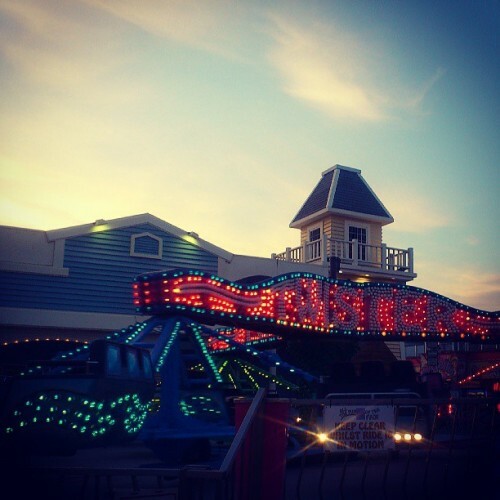 Date night at our local funfair. 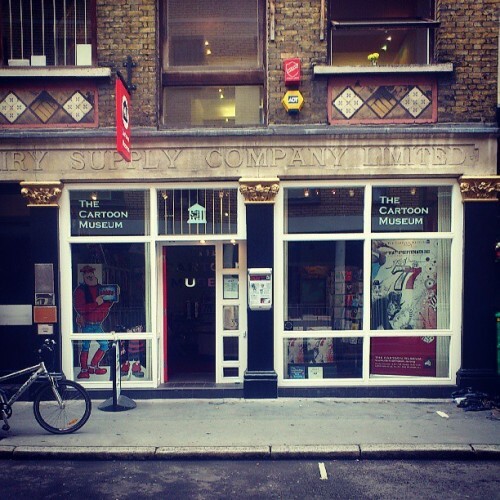 I visited the Cartoon Museum in Holborn, London last week. 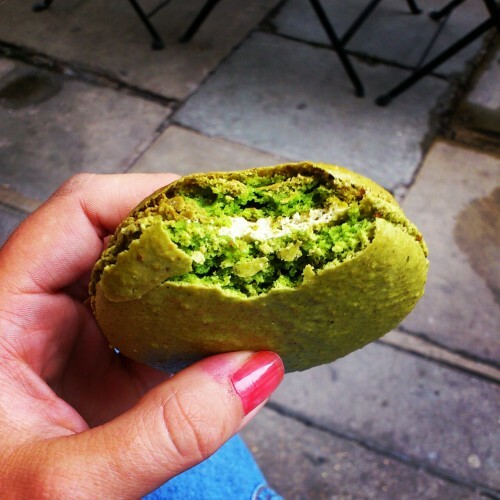 Pistachio Macaroon at Salon Paul in London. 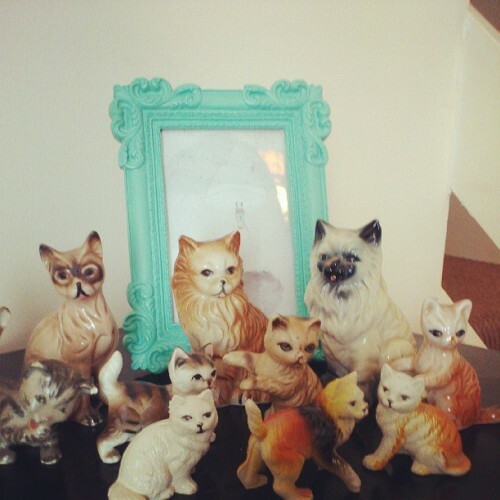 My vintage cat ornament collection. 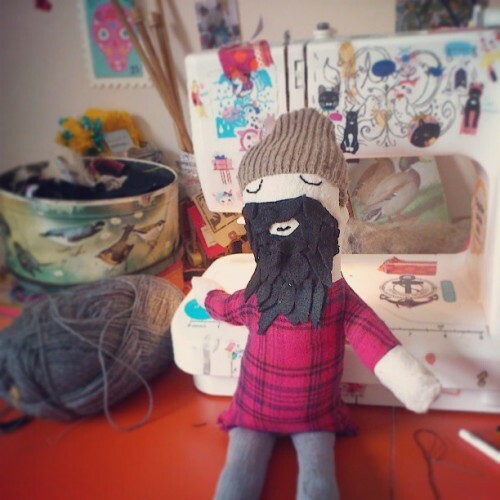 Finishing off Mr Lumberjack in the studio. 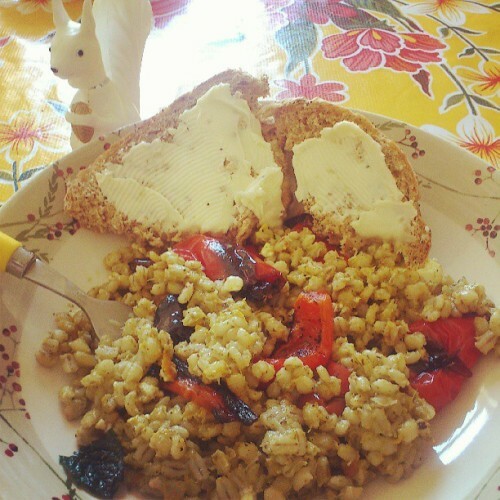 Sunday Supper: Pearl Barley with roasted veg, pesto and feta. By now you may have guessed I’m a big fan of vegetarian food and budget cooking, see my roast aubergine post. 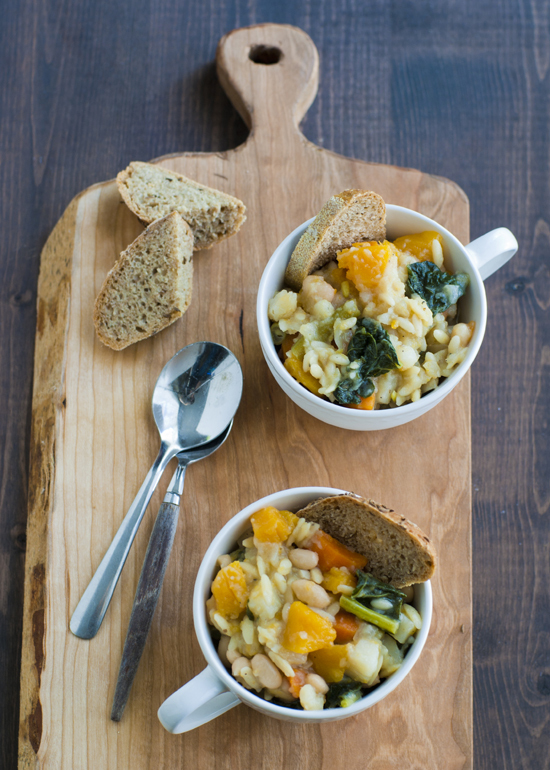 Pearl Barley is something I have always enjoyed in a broth or stew and have fond memories of enjoying them in lots of warming winter suppers when I lived in rural Scotland as a child. Todas supper can be enjoyed hot or cold, I love it hot with fresh bread straight from the oven. 6 garlic cloves, skin on. a few sprigs of chopped fresh mint. In a saucepan cover the barley with water add a few pinches of salt and boil/simmer for 40mins until cooked. Whilst the barley is cooking put the squash, pepper and whole garlic cloves in a roasting tray, drizzle on olive oil and sprinkle with salt, pepper and the dried herbs. Roast in a hot oven, about gas mark 6-7 or 190c until the veg is soft and browning, usually about 25mins. Once the barley cooked drain it and stir in your pesto, roasted veg (except the garlic cloves), add chopped fresh mint and small chunks of feta cheese scattered through. Season with salt and pepper or maybe a squeeze of lemon juice. Serve with a crusty bread and butter. Heat a casserole dish, add the oil and, on high heat, brown the chicken all over for five to 10 minutes. Turn the heat to medium, add the garlic, onion, fennel and leeks, sweat until tender, then pour in the stock, season and cook on a gentle heat until the chicken is cooked and tender. Add the peas, broads, borlotti beans and olives, then stir in the herbs, lemon juice and yoghurt. Serve with parmesan, if you like, and perhaps some plain boiled rice. 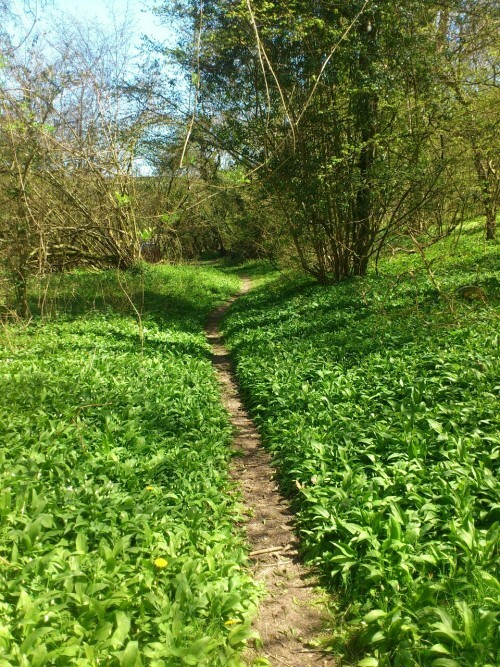 Around the Southdowns with the children, picking wild garlic, picnic and cider. 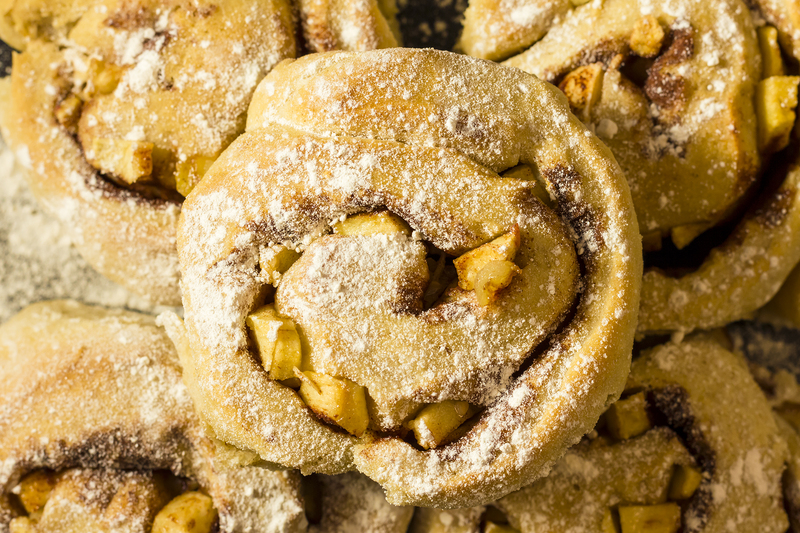 Apple and Cinnamon bun recipe. The gentle art of perfecting my cinnamon bun recipe has become a bit of an obsession in our house. I think I’m almost there with the addition of apple chunks it’s gotten serious and I feel I have upped my game. Josh also obliged by taking some lovely photos of the result and then of course he got to eat them. 2 sweet apples peeled and chopped in small chunks. Combine the yeast, flour, egg, salt, sugar, 2tbsp butter, vanilla extract, 2tsp of cinnamon and milk in the dough pan. Set for a standard bread dough setting around 2hr 40min. Roll out dough into a rectangle about 1.5cm thick. Spread butter over the surface like your buttering a slice of bread. Sprinkle a mixture of sugar and cinnamon over the buttered dough evenly. 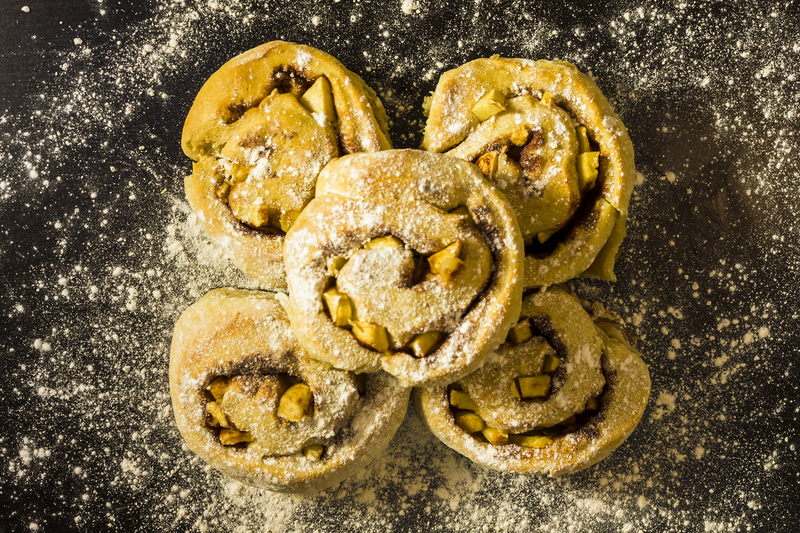 Dot the dough with the small chunks of apple and add an extra sprinkling of sugar. Roll the dough up like a magic carpet. Slice your magic carpet up into 12 equal rounds. Butter or line a baking tray and place the rounds on it, bake for 20mins or until slightly golden at 200c. Remove from oven, cool and sprinkle with icing sugar. These buns are not overly sweet but if you like a more decadent bun make a gooey frosting from cream cheese, icing sugar and vanilla extract to smear on the top of the buns, it amazing! 4. Double Chocolate and Whiskey Banana Bread. Woah, where did that come form? Autumn is well and truly here! 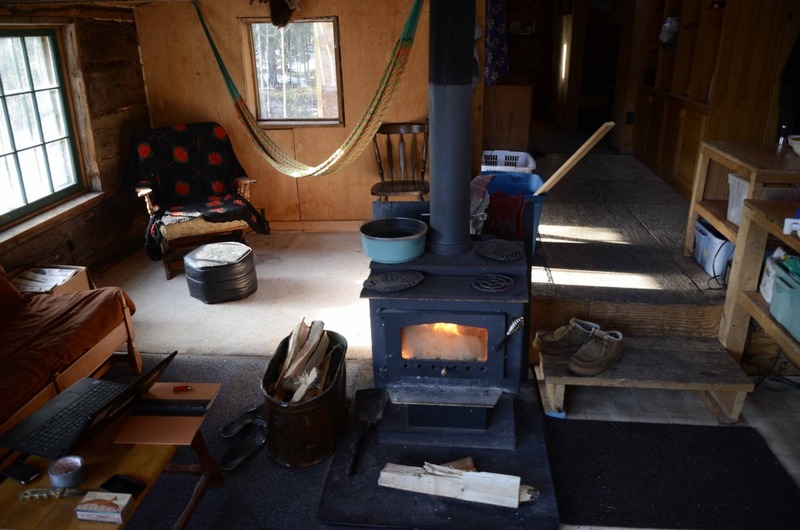 The rain has not stopped pouring today, the wind is rattling the windows and a the low rumble of thunder can be heard in the distance. Alas thats enough fantasising for now. Back to washing dishes, vacuuming and chasing after children. 10 things to make you happy. 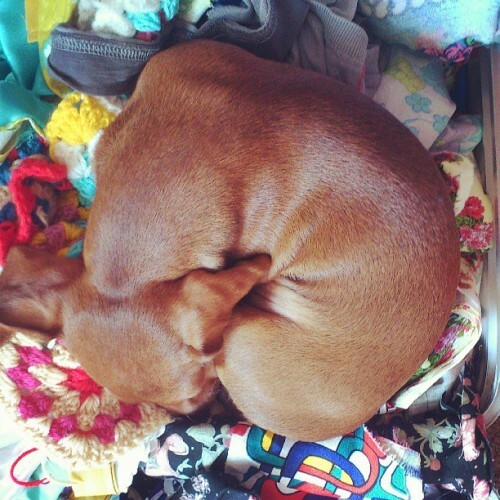 Yes this may be a bit of fluff blog post, but hey when isn’t my blog fluffy? 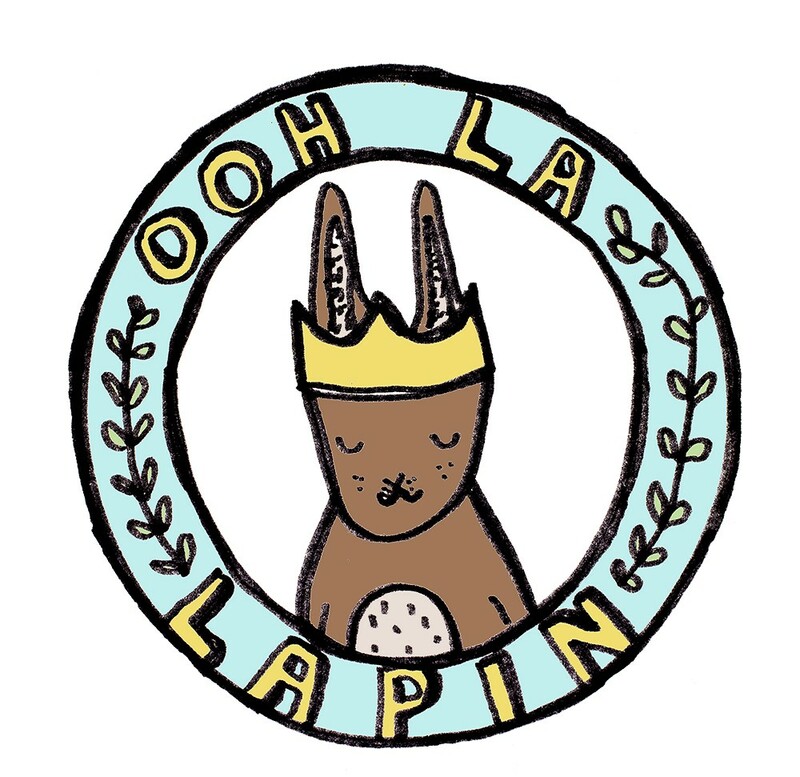 I like to think people visit ooh la lapin because its fun, cute and fluffy! 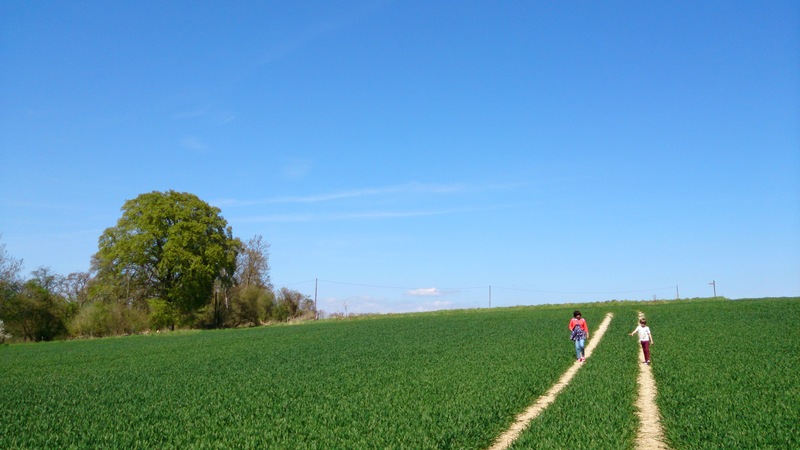 Its also all to easy this time of year with the seasons changing to feel a bit down. On a serious note as a person who suffers from anxiety and depression its important to think good thoughts even when you feel like its impossible. The work of Bryony Jennings aka Pretty Scruffy. Her beautiful shop down the road in Chichester and her textile animal sculptures are pure works of beauty! The music of This is the Kit always makes me feel peaceful, inspired and joyful, I often listen to them when I am working away sewing or painting. I am also excited to hear they are touring the UK and hope to catch them playing London in December. The work of Parisian artist Nathalie Lete, I recently bought a bag decorated with her painting, she also makes commissioned one off pieces and 3d textile work. Going for a walk on the beach on an Autumnal day, when its sunny but slightly cloudy but very breezy. 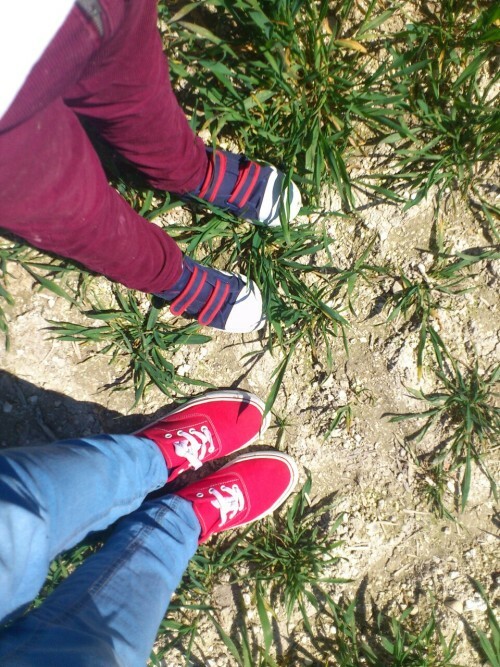 Its just right now to wrap up in a big wooly, chunky socks, grab a camera and a friend and go for a bracing stroll. I love living by the sea and Southsea is the most wonderful place to live and work! 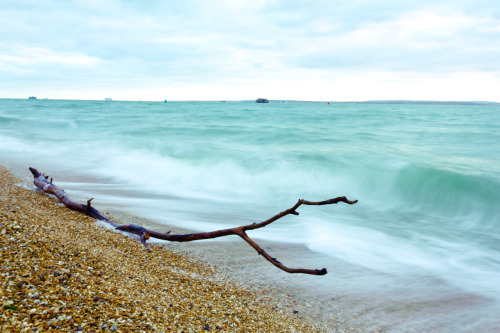 image courtesy of Often Hover, Southsea Beach. Making seasonal recipes! Seasonal food is always cheaper, seasonal seems to one of these words bandied about that has lost its meaning. To me it means fresh. I really like food blog Smitten Kitchen and it has always been a go to for recipes when hosting dinner parties. 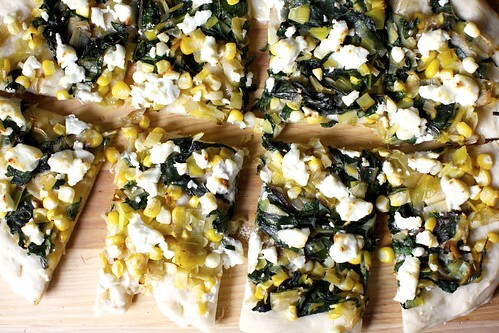 Today I am giving this a go Leek, Chard and Corn Flatbread, After getting our veg box yesterday it was full of rainbow chard and I am determined to get the children to like goats cheese, they will like it, they will!!! Browsing craft tutorials and starting to think about making Christmas gifts, omg yes! 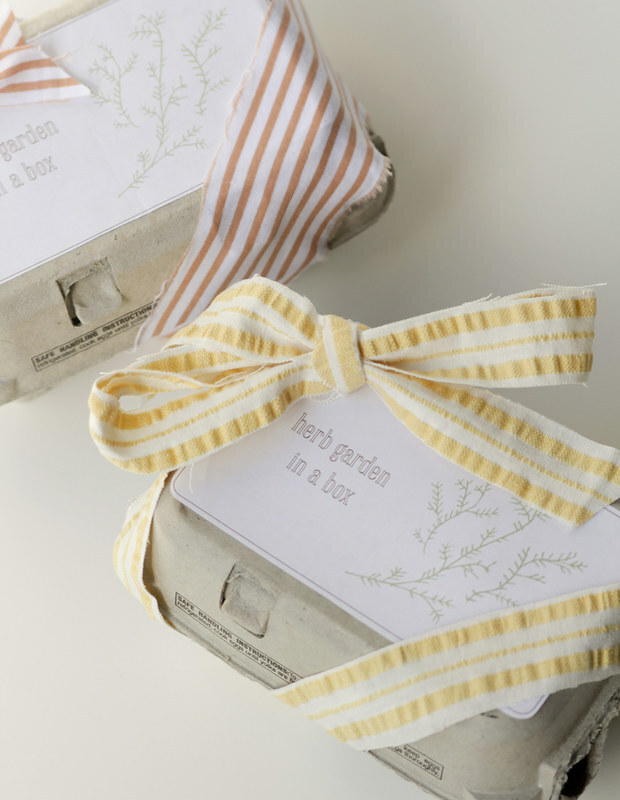 I love this herb garden egg box from You Are My Fav, the blog also has lots of other DIY bits and pieces. A good soak! Nothing beats a bath, after the kids have been put to bed and all is still I run a bath and have a good long soak. I only do this a couple of times a month as its a luxury and keeps it special. My favourite thing to cleanse myself with is Soap and glory Clean on Me. 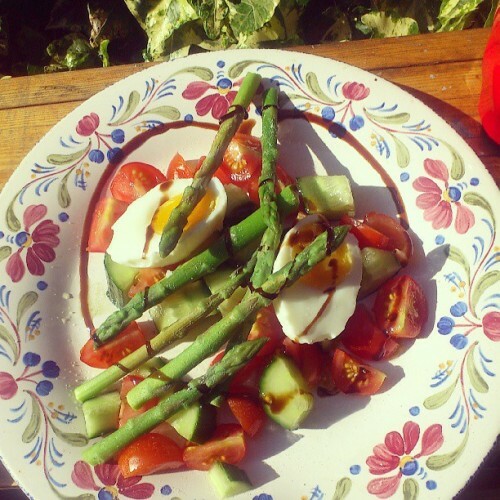 Good healthy food. 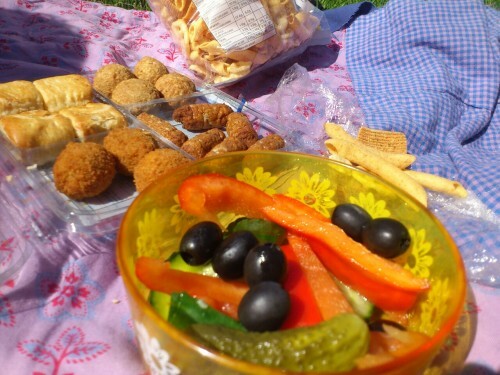 I made a decision recently to eat better, I had slipped into a coma of junk and comfort food. I side affect was going up nearly two dress sizes and feeling tired and worn out. I have no problem being curvy but feeling rubbish all the time was enough. I would also never lecture people on what to eat, at the end of the day live and let live! I smoke so I can hardly judge ha ha. So when Able and Cole put a leaflet through he door I thought ‘why not?’ we have a small food budget and i think the box makes me use all the food and think about what we are cooking. Good Friends! A big shout out to Naomi and Angelo for being super awesome friends, they are always here for us, back me up and a cup of tea and a chat always make it better. Also they are talented, funny and honest. Laughter is the best medicine. When I’m feeling a bit blue Josh and I curl up with a season of 30 Rock and a glass of wine. I adore it so much Tina Fey plays the main character and pretty much plays herself, its fantastic.